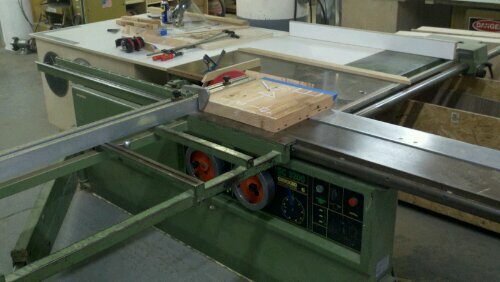 Large, Italian, sliding table saws can be useful when making big, mitered (angled) joints. 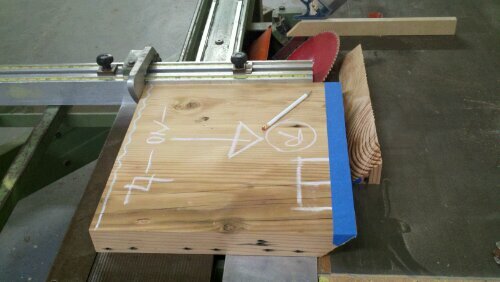 This is the leg of a bench that we are building from reclaimed fir wood. When set up right (that can take me almost an hour), the accuracy of the cut is pretty awesome.